The bay leaf is a subtle yet indispensable ingredient in south Louisiana’s Cajun and Creole cooking, used in everything from gumbo and bisque to bouillabaisse and red beans. Containing dozens of flavor compounds, the bay leaf serves as a fragrant background element in red beans, delivering a complex combination of woodsy and tea-like characteristics to the palate. Bay leaves are meant to cook in red beans for at least an hour in order to distill their essence. One or two whole leaves should be enough, although some cooks use more. Don’t grind bay leaves into powder or cut them into small pieces. Don’t store your bay leaves at room temperature if you can help it. Freezing (or at least refrigerating) them will ensure that they retain their flavors for much longer. Some cooks also use fresh bay leaves, particularly when a tree grows nearby, but dried ones should be the go-to choice for red beans and rice, as the flavor is more intense. A staple of today’s French pantry, the bay leaf also is a frequent component of the classic bouquet garni, along with other herbs such as parsley, thyme, basil, oregano, or whatever a recipe might require. The bay leaf most commonly used in cooking today comes from the bay laurel tree (Laurus nobilis), which produces almond-shaped leaves about 1 to 3 inches long. Often called Turkish bay leaves, they are native to the eastern Mediterranean. 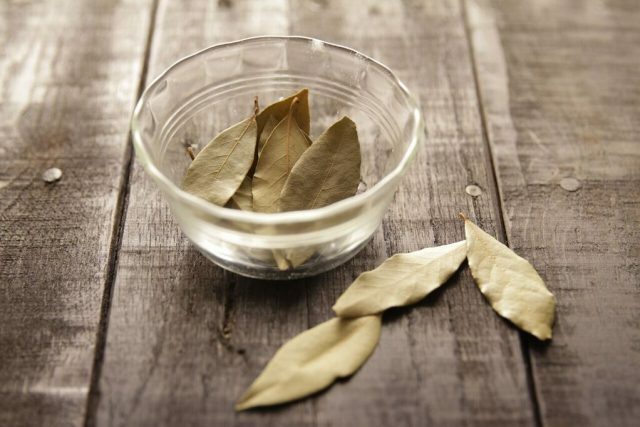 Therefore, it’s no surprise that the ancient Greek and Romans once used bay leaves from the laurel tree to weave crowns for their Olympic champions and conquering heroes (hence the modern term “Nobel laureate” or “poet laureate”). Less commonly used in red beans is the leaf of the California-grown Umbellularia californica, which has a more menthol-like, floral taste. The California bay leaf is best for dishes that require strong aromatics, like desserts such as sorbets and mousses. The bay leaf also has been used as a homeopathic remedy for centuries to ward off illnesses and treat a variety of health conditions. American Indians were known to burn bay leaves to repel insects with the smoke. In fact, Indians likely gave French and Spanish settlers to Louisiana (as well as African slaves) their first taste of bay leaves, cultivated from a couple of laurel tree varieties native to the Southeastern coastal plains: the Persea borbonia, or red bay, and the Persea palustris, or swamp bay. Leaves from these trees can be substituted for those of the Laurus nobilis. And the sassafras leaf, another member of the laurel family known to the Indians, is used to make filé powder, a thickening agent in gumbos. Filé has been hailed as among the Native Americans’ greatest culinary gifts to our cultural melting pot, with corn being the foremost. Ground bay leaves are thought to have been used as an occasional substitute for the leaves of the rarer sassafras tree. 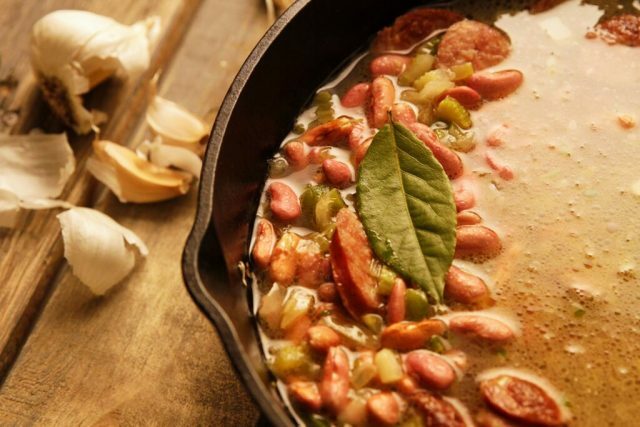 Most south Louisianians wouldn’t dream of making a pot of red beans without adding bay leaves. You don’t have to use them, but the end product likely will lack the certain je ne sais quoi that this soulful herb always seems to provide. 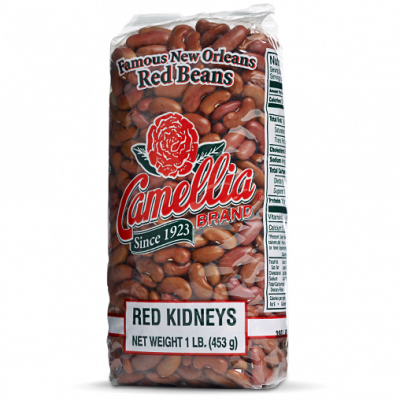 When it comes to cooking red beans, always bet on the bay. Check out bean recipes with bay leaves.